digiPunchCard is intended for retailers that want to replace a traditional “buy 9 get one for free” paper punch/stamp card with a digital full featured punch card. The purpose of this guide is to explain how to install and use the digiPunchCard loyalty system. digiPunchCard is operated from your desktop browser or your Android/IOS cellphone or tablet and doesn’t require your customers to install any application. Your customer is identified by digiPunchCard by their cellphone number or email address. 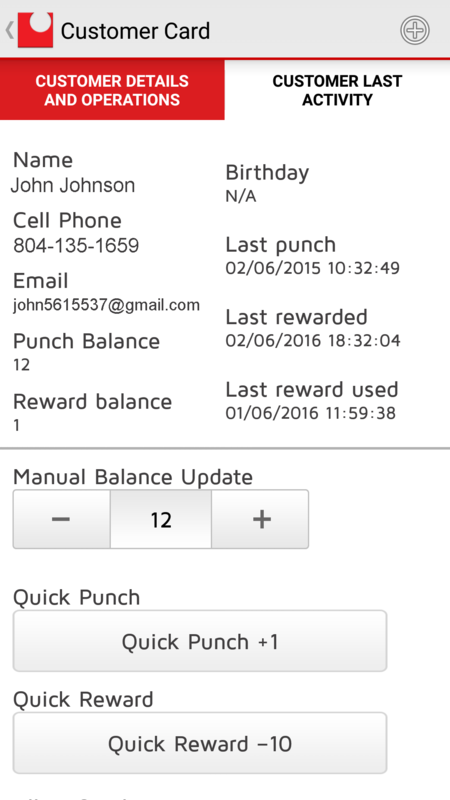 This identifier is used when a ‘punch’ is made by you or by your customer on the main punch screen. The only prerequisites for starting to use digiPunchCard is an internet connection , a web browser or an Android/IOS phone or tablet (running os version 4.1.2 or higher). If you plan to put your device on the counter where your customers will make the punch themselves then we recommend that you use a device with a screen size of 7 inches or above. You may also want to consider using an enclosure for securing the device. digiPunchCard may also be used in small and micro businesses and may be operated from your cellphone without buying additional hardware. Using digiPunchCard’s web app does not require any installation. Just register and follow instructions. If you want to use digiPunchCard’s IOS app. installing digiPunchCard is done through iTunes. You may use the direct url: https://itunes.apple.com/us/app/digipunchcard/id1210848618?mt=8 . or type ‘digipunchcard’ on iTunes main page search bar. 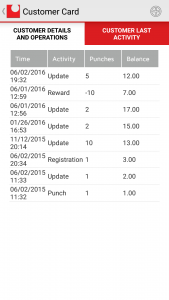 If you want to use digiPunchCard’s android app. 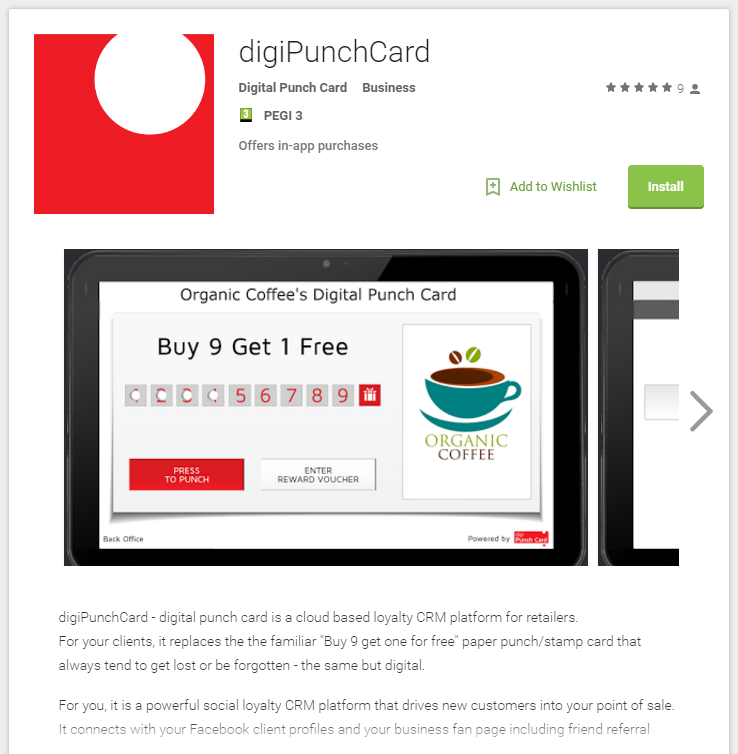 installing digiPunchCard is done through Google Play. 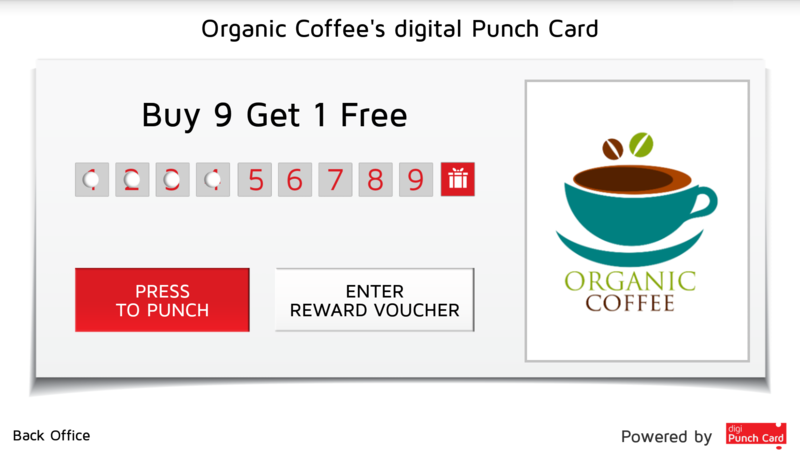 You may use the direct url: https://play.google.com/store/apps/details?id=com.digipunchcard.loyalty ,or type ‘digipunchcard’ on Google Play main page search bar. After navigating to the digiPunchCard page on Google Play, click on ‘Install’ to begin the installation process. Follow the installation instructions and approve the application’s required permissions. After a successful installation, a digiPunchCard icon will appear on your cellphone or tablet home screen. If you have previously configured digiPunchCard click on the ‘LOGIN’ button to enter the user name and password. If you are a new user, click on ‘NEW USER’. You will be asked to enter your email address and password. The email address and password will be used for logging into digiPunchCard. After filling in the login details press next. In order to validate your email address, digiPunchCard will send you a verification email with a verification code. Enter this code on the next screen. After a successful verification you’ll begin the configuration wizard process. Punch card configuration – the basic punch card configuration including the number of punches needed to get a reward, the reward and the punch card slogan. Optional punches to encourage users to perform specific actions, including registration and friend referral. Clicking on “Press to fill with best practice data” will automatically fill the data with default values. 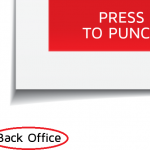 Back office pin code – will be used for entering the back office screens from the main punch screen. Punches can be made by your customers, The pin code prevents them from entering the back office. Facebook fan page/web site address – your customers will be redirected to this page after registration or after referral. Business slogan – this phrase will be displayed on the main punch screen. Business description – is displayed after registration or after referral. Time between punches – a restriction for avoiding unwanted double punches. Advanced punch card configuration (3) – not mandatory Uploading business logo – the logo is displayed on the main screen and also on customer’s pages. Recommended size is 300/150 pixels transparent PNG. If you don’t provide a logo, your business name will be displayed in its place. Pressing “Finish” will save your configuration on digiPunchCard’s server and redirect you to the main punch screen. 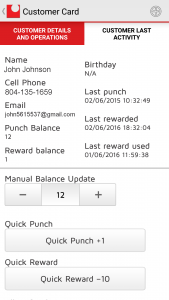 Making a punch is an action that consists of entering a cellphone number or an email address. This information becomes your customer’s digiPunchCard identifier. Every time he makes a punch he must use the same number or address. 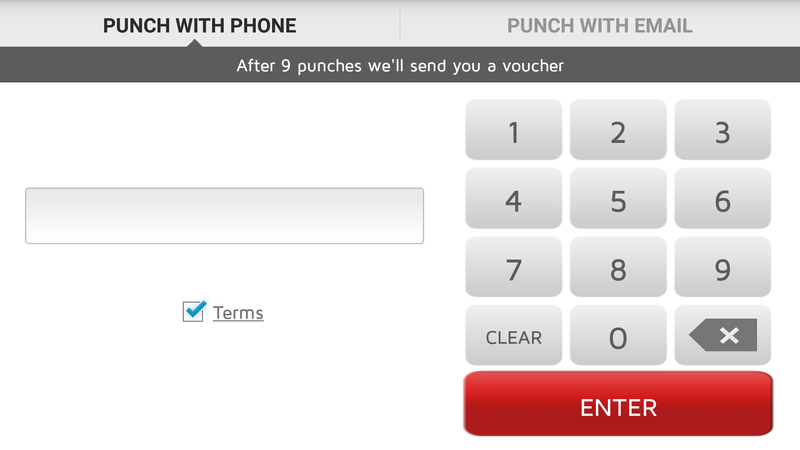 After making a punch your customer will get a message (text or email) with registration and referral instructions (using this link is not mandatory). 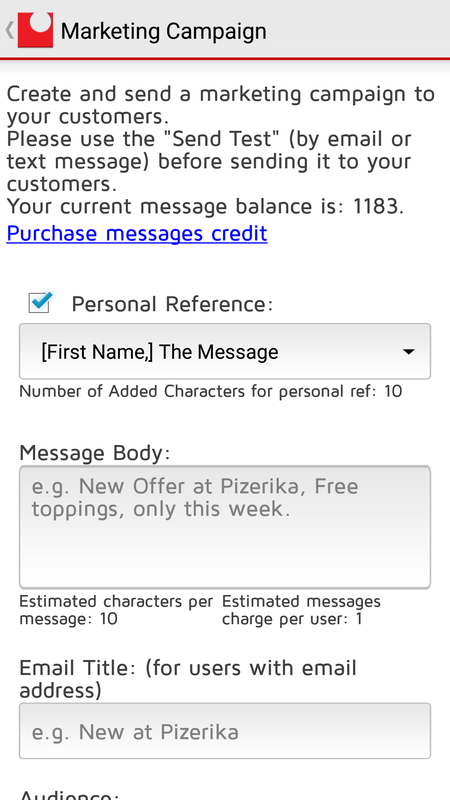 Clicking on the message’s link will always show the customer’s up to date balance. 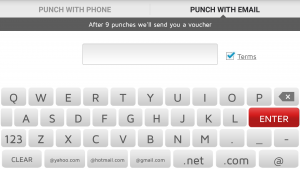 After your customer reaches the number of punches that entitles him to a reward he will receive a text message or an email with a reward voucher. This voucher number can be redeemed by entering it on the voucher screen. 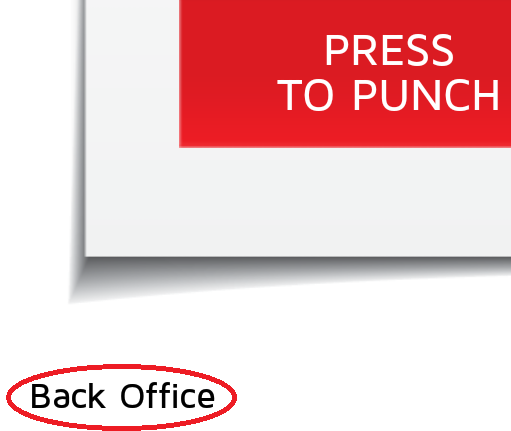 To navigate to the back office click on the “Back Office” button on the left bottom corner of the main punch screen and than enter the three digits pin code. Dashboard – displays your digiPunchCard’s reporting and analytics. Showing your new customers acquisition and loyalty performance. 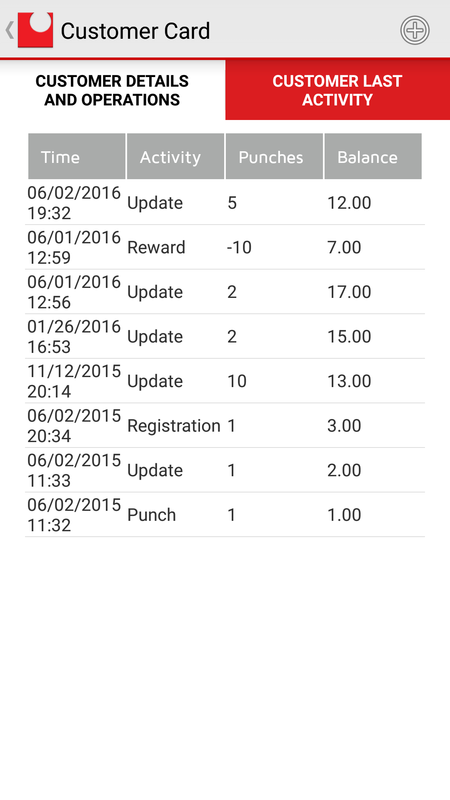 Customer card – displaying your customer details and punch history. 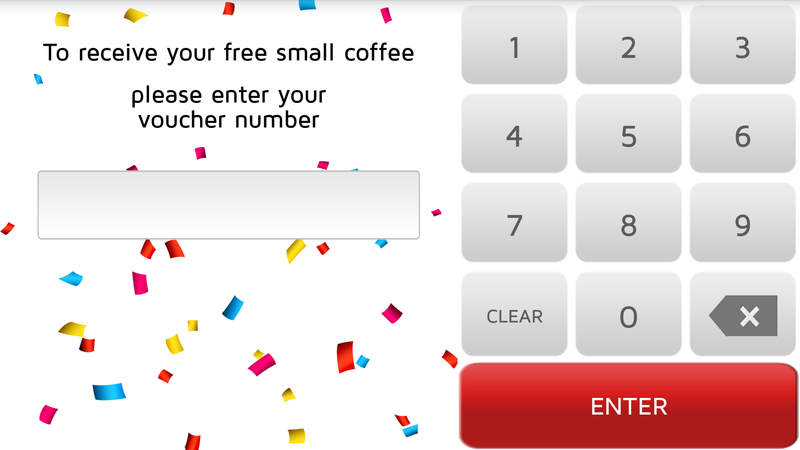 From this screen you can make a quick punch or redeem a reward voucher. To unsubscribe a customer from receiving marketing campaigns messages – make sure the “Allow Send Campaigns” switch is set to “off”. Click on the + button on the top right corner of the Customer Card screen to add a new customer. When your customer makes a first punch on the main punch screen he is added automatically to your customer list. Customer Lookup – find a customer by his cellphone number or by his email address. Marketing campaigns are used as a non-intrusive, effective way to communicate with your customers via text message and email. Maintain brand awareness through sending promotions and new products straight to your customer. 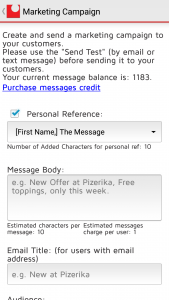 Before sending messages, you will need to purchase message credit. You can do this by clicking on the “purchase message credit” link on the marketing screen or directly through the “Subscribe And By Credit” screen. Enter the email title (relevant only for customers that punched with email address). Everybody – all customers in your database. Click on “Send Test” button to send a test message. Click on “Send Campaign” button to send the campaign message to all relevant audiences. Use Kiosk mode if your tablet is placed on the counter and the “punches” are entered by your customers and not by you or your workers. Enabling kiosk mode prevent using the “home” button, exiting digiPunchCard app and starting other applications on the tablet. 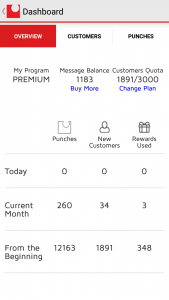 Using digiPunchCard requires you to subscribing to a plan. 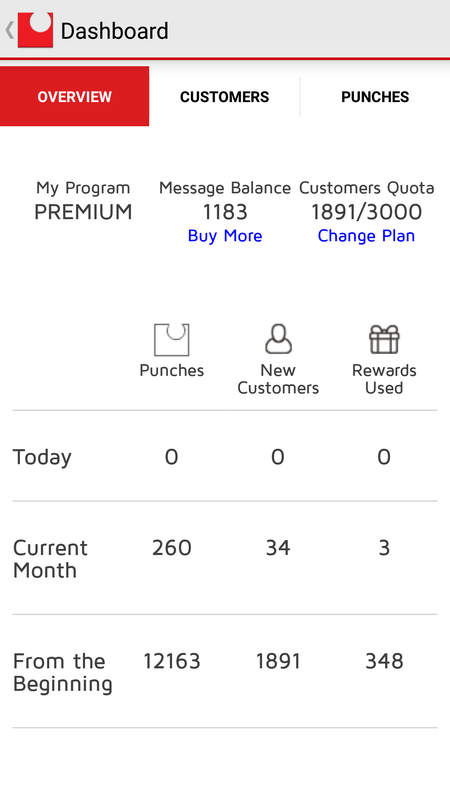 The default plan that you are registered to when you install the app is the “Free” program. All digiPunchCard programs include all the features. The difference is the number of customers allowed in the system. You can compare programs on our site: http://digipunchcard.com/pricing or on the “Subscribe And By Credit” screen on the app’s back office.